Join us for another year of fun in the courtyard! 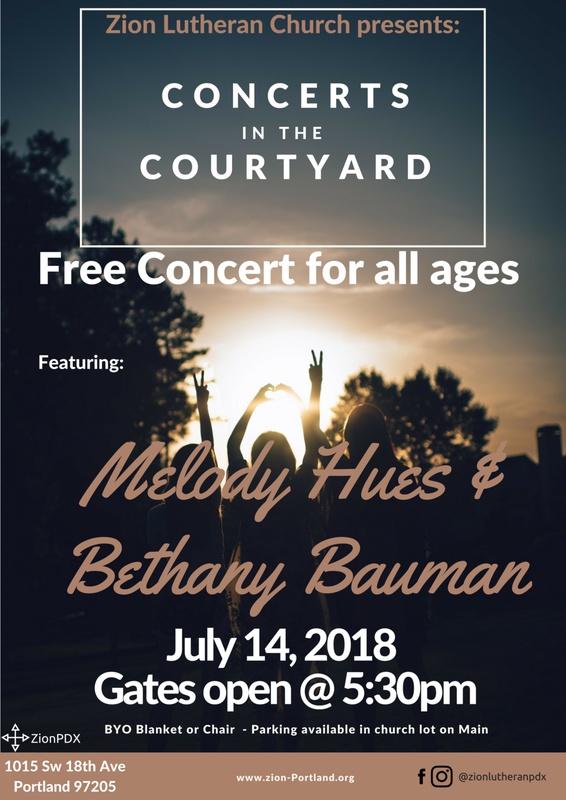 The first concert of 2018 features our very own Melody Hues coupled with Bethany Bauman from Nashville, TN. It should be a spirited evening of soul and folk. All are welcome. The concert is free! Bring your own chair.